Walk around any of the main Dublin tourist areas and you’ll see 1916. The major exhibitions/tours at the National Museum and Kilmainham, the GPO and its exhibition, murals and pubs with photos covering their frontages and prominent places named after the leaders – eg Pearse, Connolly and Heuston stations to name a few. Over recent decades and particularly around the centenary in 2016, the Easter Rising has been elevated to the pivotal event in Irish history leading to independence and the establishment of the Republic. Less visible, however is the legacy of the War of Independence from 1919-21 and the subsequent civil war between Pro and Anti treaty forces. 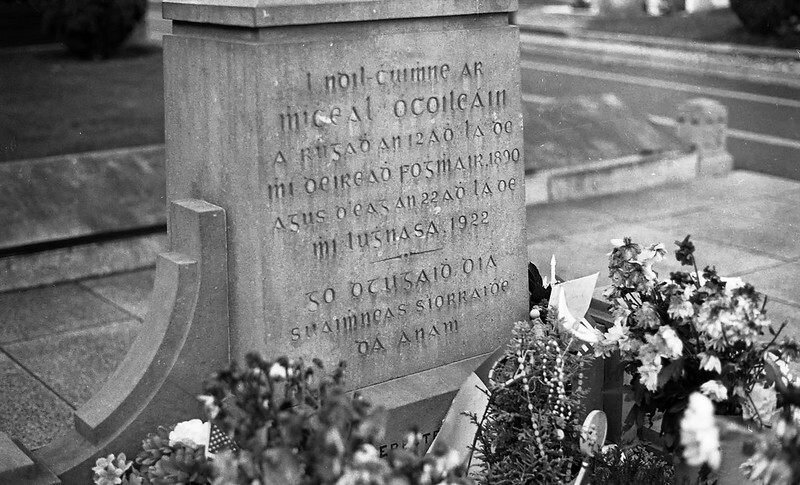 Central to this was Michael Collins – holder of various government posts in the revolutionary republic but effectively the mastermind in the guerrilla war against the British and signatory to the treaty establishing the Free State. He is probably the leading figure in modern Irish history yet perhaps due to the treaty and it’s aftermath and his assassination by anti-treaty forces, his presence around the capital city is a bit muted. 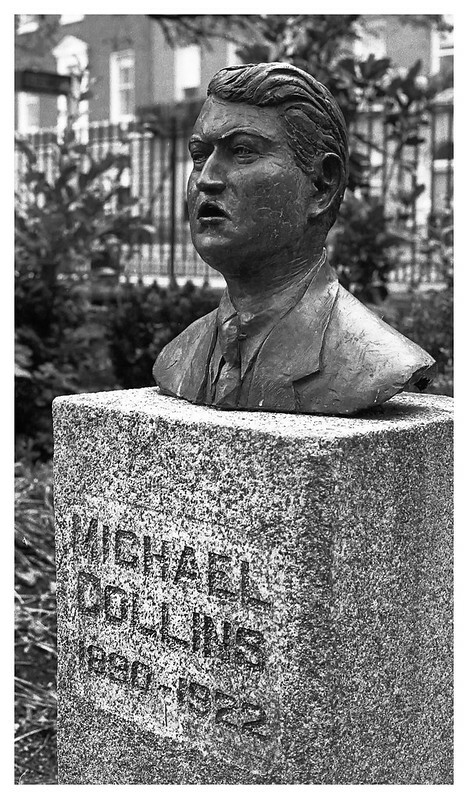 There’s no statue or memorial other than this less than flattering bust in Merrion Square alongside Oscar Wilde and Bernardo O’Higgins. 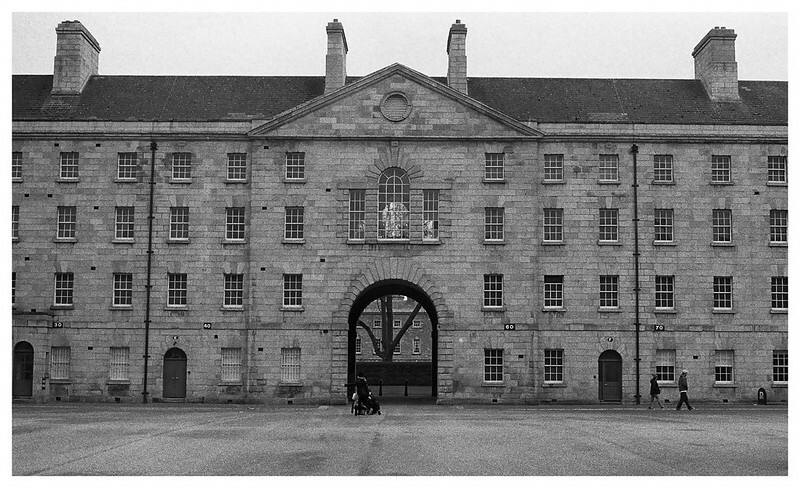 The old British Army barracks was renamed Collins Barracks in 1922 and now houses a main site of the National Museum, but there’s little of his presence at the site other than his name. 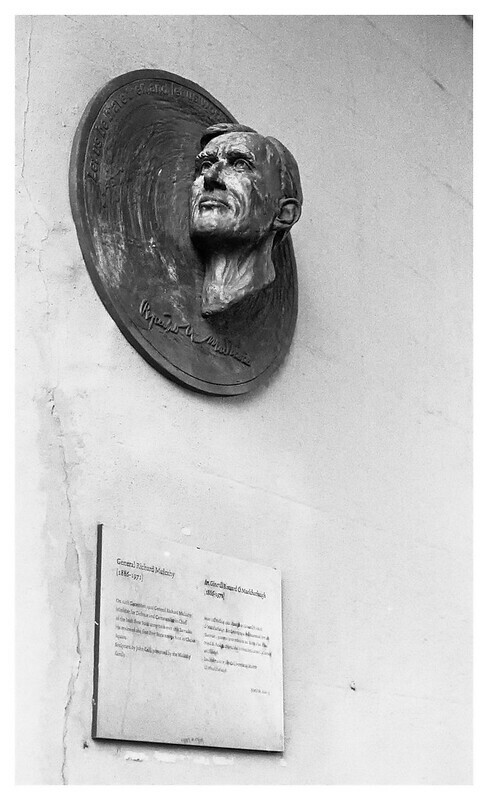 There is, however a memorial to his chief of staff and future Fine Gael leader, Richard Mulcahy. 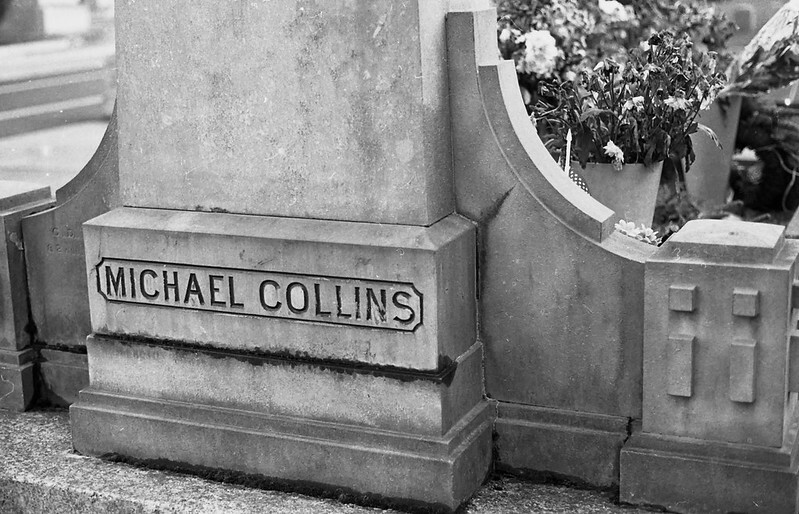 Ironically, the most prominent site relating to Michael Collins is his grave at the Glasnevin Cemetery just outside the city centre. 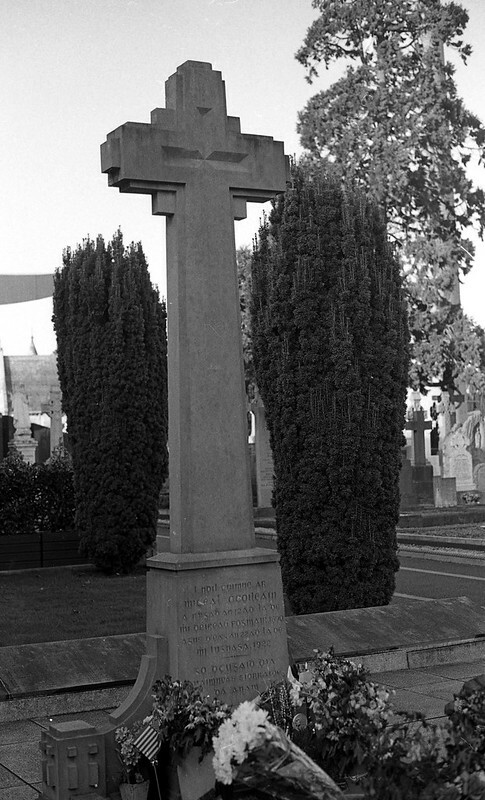 Vying for the centre of attention among the great and good (and ordinary) of Irish history, Collins’ grave is one of the most visited and tended-to at Glasnevin. As Ireland prepares for its next round of centenary commemorations, perhaps Michael Collins will be able to find centre stage in the country’s capital.